1. Washable and durable: The product material is durable, easy to clean and use. 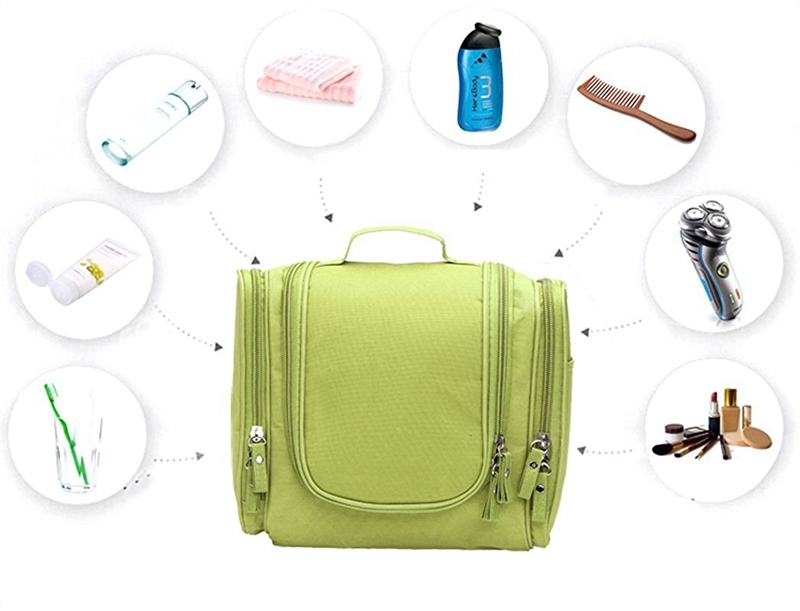 Provide long-lasting storage on your journey. 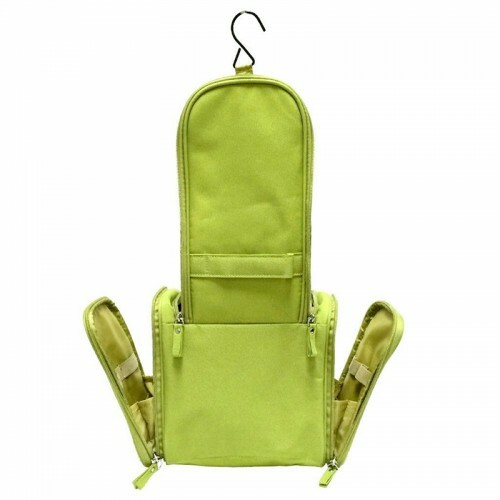 Easy to clean waterproof lining and pocket. 2. The tremendous ability to provide you with enough space to store two or three people's necessities. 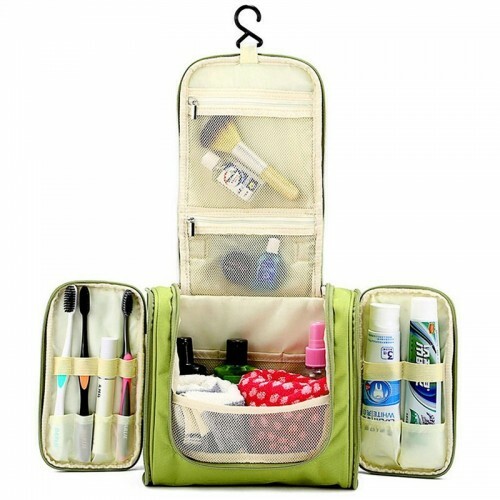 A major space to store your shampoo, conditioner, lotion, sunscreen, mask, perfume or whatever you want to bring to you perfectly. 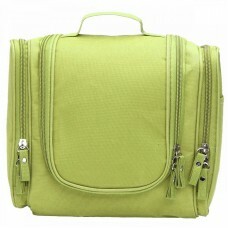 Multiple intranet pockets add extra storage for your makeup, such as liquid foundation, serum and moisturizer. 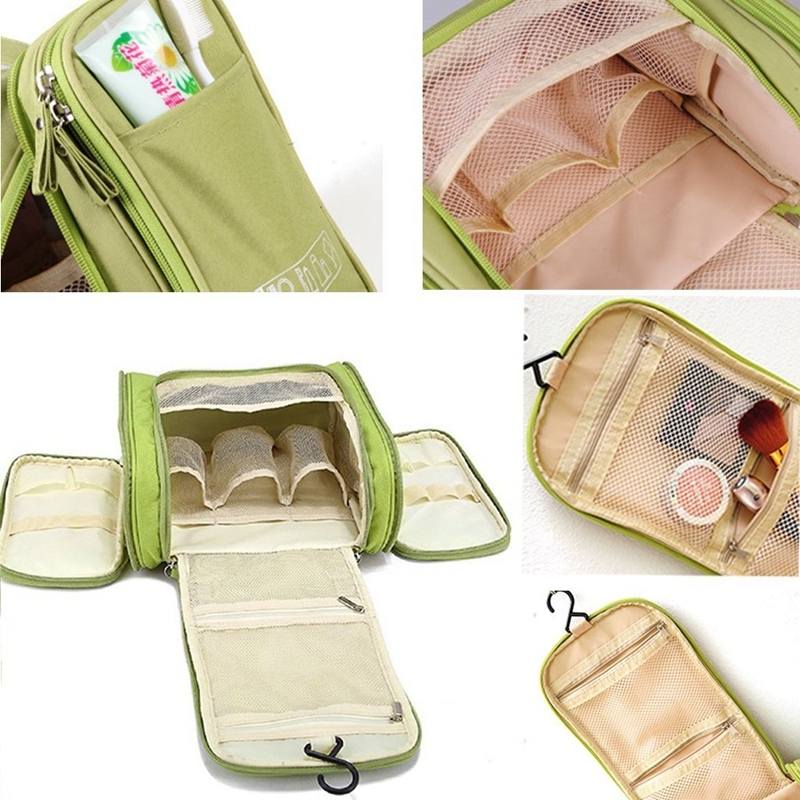 Zip side pockets for additional storage - Dual zip pockets on each side Elastic ring to keep extra space for your eye liner, mascara, blush brush, toothbrush and more to keep your portable charger, headphones, tissue, Blind or other small tools. 3. Internal reinforcement hooks make it easy to store in the towel rail, shower rod or door handle. Durable handle can be hand-held, hanging in the bedroom or bathroom door handle. Ideal for vacation, business, gym, camping and bathing organizations. 4. Quickly find and grab items, effortlessly! With so many cubicles and organizations in it, it's too easy. 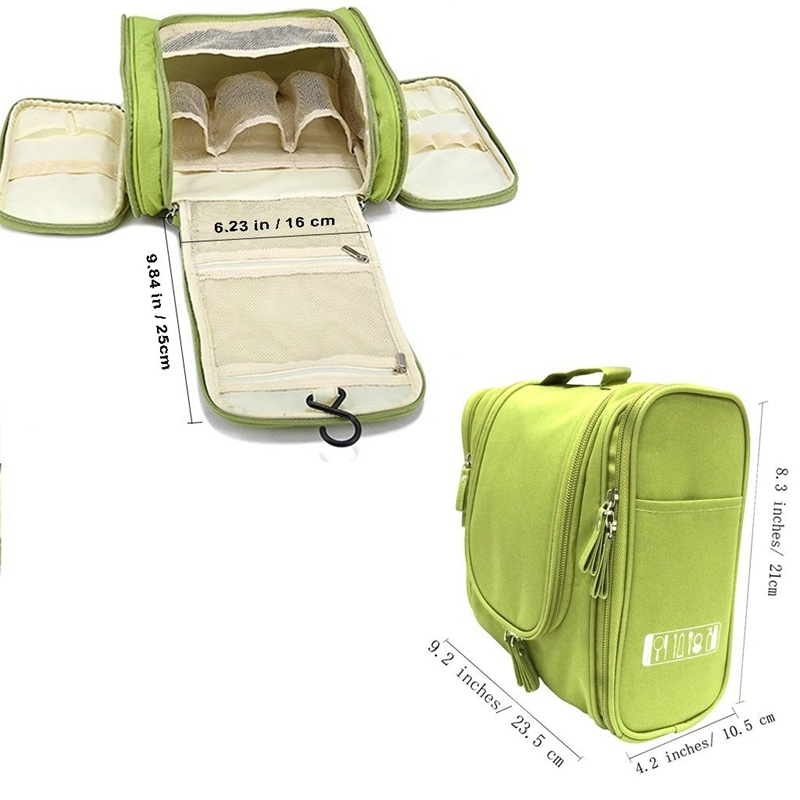 Front, side, top compartments - Some small and large internal tissue pockets open with quick exit and some are closed with internal zip fastening for storage (2 pockets on top). Prepare yourself for a relaxing and relaxing trip - the quickest!